Ronan Jr. Chiefs battle at half-time. 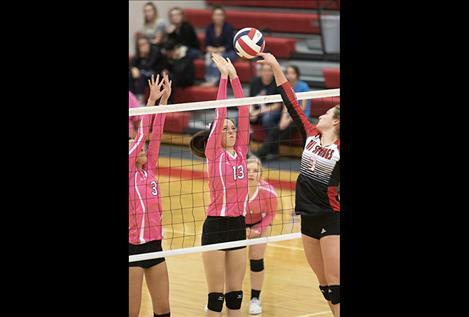 The Arlee Scarlets battle at the net. 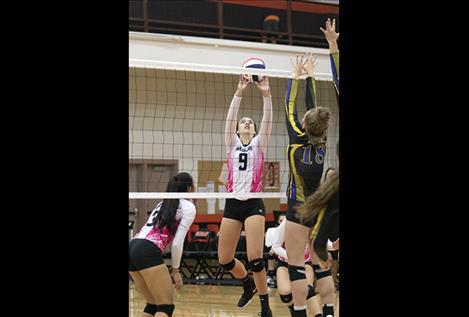 Mission Lady Dawg Sydney Brander bumps the ball. Ronan Chief quarterback Eric Dolence lunges for a first down. Ronan Maiden Kiana stretches for a return. The Lady Pirates’ soccer season came to a completion in a 4-0 playoff loss against hosting Whitefish on Tuesday, Oct. 9. Lady Pirate goal keep Kallie Finkbeiner had 26 saves, and the Lady Pirate shooters had five shots on goal. 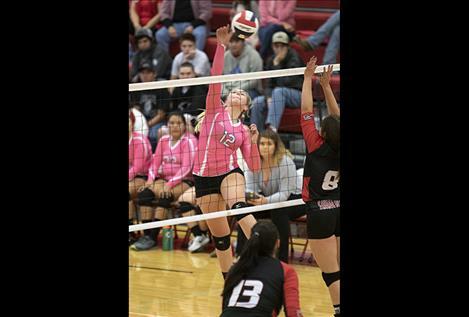 The Lady Pirates notched a 25-21, 22-25, 25-23, 25-21 home victory over Browning. Shea McGuinness led the Lady Pirates with 36 assists, Maggie Todd led with 17 kills, Mikaela DuCharme led with 23 digs and two blocks. In the 11-25, 20-25, 26-24, 11-25 home loss to Stevensville on Thursday evening, Kaylanna DesJarlais had 18 digs for the Lady Pirates. 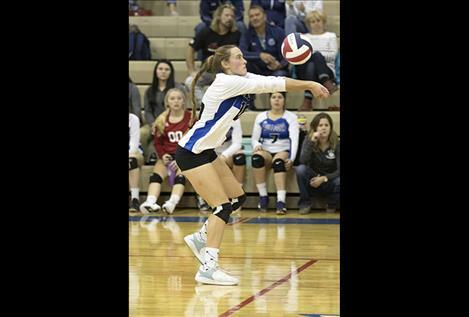 Shea McGuinness add 24 assists with Mikaela DuCharme getting eight kills and four blocks on the evening for Polson. 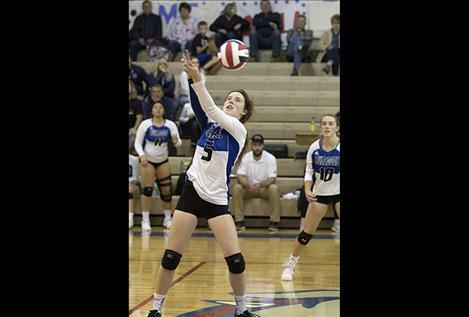 On Thursday, the Maidens were toppled in straight sets 12-25, 18-25, 15-25 by visiting Libby Lady Loggers. Leading the Maidens was Rylie Lindquist with 16 digs, Tiana Ulutoa at 10 assists and Madison Clairmont with an ace and five kills. 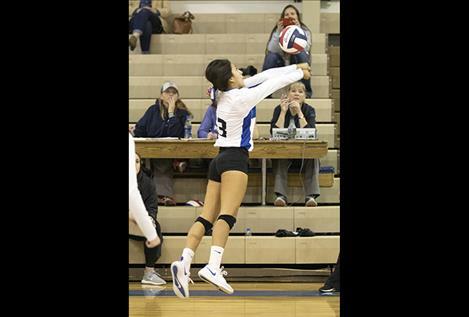 Teaira Truman dished out 39 assists for the Lady Vikings in a 20-25, 25-22, 25-12, 25-22 road win over Hot Springs on Saturday. 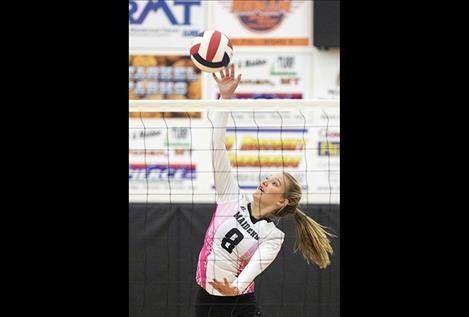 Kaitlin Cox led Charlo with 24 kills. 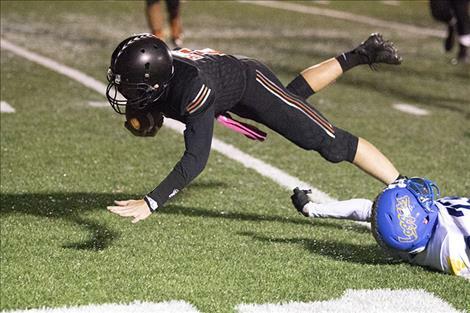 The Arlee Warrior pillaged the visiting Victor Pirates 60-12 on Friday night. Warrior quarterback Lane Schall passed for six touchdowns. Lane Johnson and Chase Gardner each caught three touchdowns apiece. Warriors Colt Crawford and Darshan Bolen each rushed for scores. 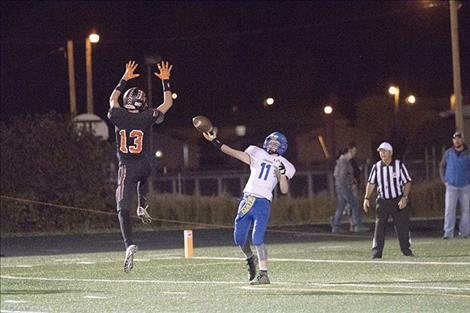 Mission Bulldog Layne Spidel ran a kick off 65-yards for a touchdown in a 68-24 road loss against the number one ranked Flint Creek Titans on Friday night. Bulldog quarterback Kolten Gardipee threw three touchdowns, one to Jedi Christy and two to receiver Flint McPherson. 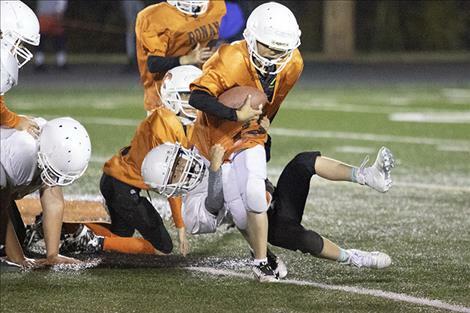 The Chiefs fell to visiting Libby Loggers 54-14 on Friday evening in a Northwestern A matchup. No other stats were obtainable by press deadline. 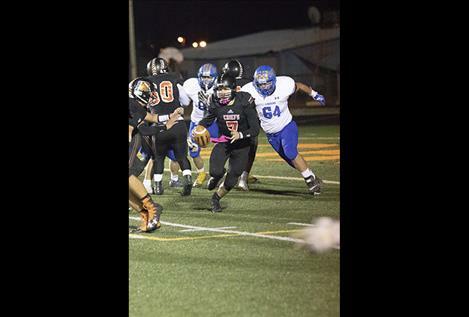 On the road in a Northwestern A matchup, the Pirates were shutout 34-0 in Browning on Friday night. The Pirate’s defense allowed the Browning offense 363 total yards.